Industrial style has risen to popularity in recent years for a reason. Often used in lofts, it morphs industrial spaces into something both sleek and warm. The style focuses on achieving a (composed) raw, industrial feel. The design can feel overwhelming, if you don’t know where to start. But, don’t worry, we can help. Industrial style heavily relies on the aesthetic of the space. Exposed brick is a common component of industrial design, but if your home doesn’t have exposed brick, it can be almost impossible to replicate. Likewise, industrial style utilizes an open floor plan, to create a warehouse vibe. Concrete or dark wood floors are another staple. While you can add most of these to your house with a remodel, there are smaller ways to incorporate industrial style into your home. 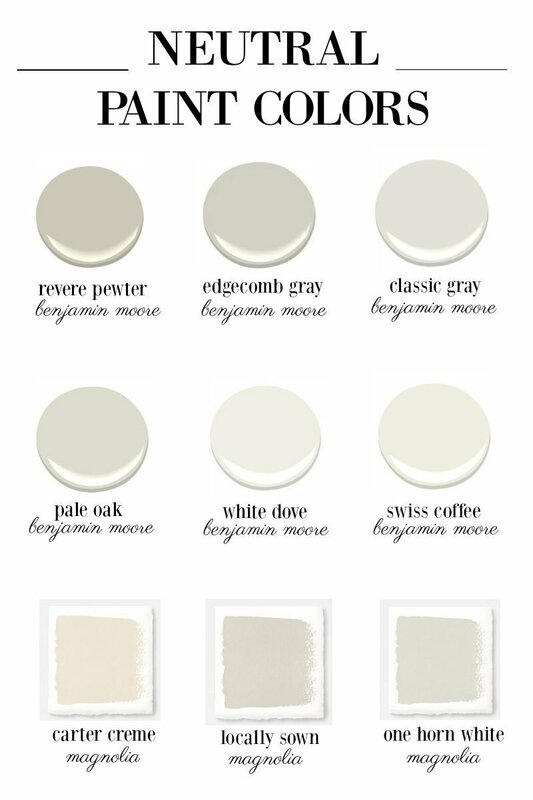 These neutral paint colors from Benjamin Moore were featured on A Thoughtful Place by Courtney. We love her style! Okay, we know repainting a room isn’t the easiest thing in the world, but it is a super effective way to make a large space feel more industrial. Besides, unless you decided to paint your living room walls highlighter yellow, your current paint is probably fine. Industrial design heavily relies on the contrast between earth and metal tones. So, if the space does have highlighter yellow walls, it’ll be pretty difficult to make the rest of the room feel industrial. This 3-head pendant ceiling light has sleek modern lines, a perfect look for modern industrial design. Filament light bulbs are an almost iconic element of industrial design. Light bulbs hanging from ceilings evokes the perfect “unfinished” feeling. Metal accents? Even better. Floor lamps are also common, as they can make a large space feel cozy. If you’re thinking of getting floor lamps, look for fully metal ones. 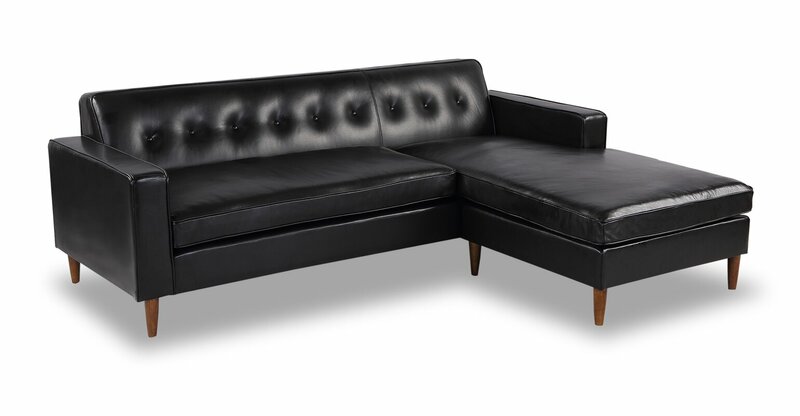 The mixture of leather and wood on this sectional from Wayfair can bring a coziness to your living room. When you think of a warehouse, the first thing that pops into your head is probably an old, abandoned corrugated metal building. Or Costco. Using some metal furniture in industrial style only makes sense; however, mixing in leather and wood pieces brings back some warmth to the room. Look for pieces that combine metal, wood and leather. This blend will make your industrial space more inviting. A hide rug can bring a large amount of warmth into your space. 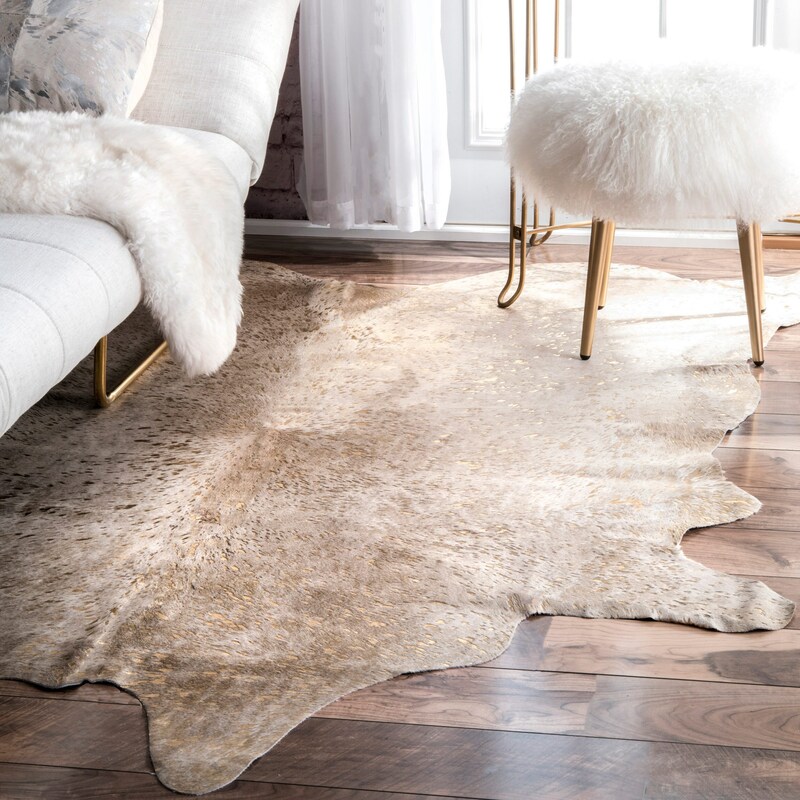 Natural area rugs help bring a warmth back into the space, because you don’t actually want your living room to feel like an industrial warehouse. Hide rugs are increasingly popular within industrial style, but we know hide rugs aren’t for everyone. Instead, you could go for an antique looking rug. We recommend sticking to warm neutrals, like tan or a deep red. Industrial home style relies on less wall decor than other current designs. That being said, we’re not saying you need to keep your walls blank. Instead, rely on rustic or urban looking accents. Find a metal sign with a slogan you like or letters. Convince your friend to paint a picture of your local corner market. Opt for some cool sculptures on your walls. Whatever you do, don’t rush into designing the room. Let wall decor come together slowly, but surely, so you’re confident you love every piece you pick. An old rail cart like this can make a fantastic coffee table. You can purchase it on Etsy. You can find some incredible reclaimed pieces by going to thrift stores, or, if you’re feeling up to it, you could DIY something for the space. Browse Pinterst for ideas like pipe shelves if you’re feeling crafty. But, if you want to find amazing reclaimed pieces from the comfort of your own home without any DIY projects, we recommend searching Etsy. The website will allow you to find thousands of reclaimed items. And surely one of them will be the best fit for your space. Even if you don’t live in an urban loft, you can still bring industrial style into your home. With a little bit of effort, we know your space will look absolutely amazing.